Meet George. I seen him here yesterday and I was so excited because I was starting to doubt that birds ate from our feeders. The instructions said it would take months and it has been months. Isn’t he cute? This morning I seen their tracks in the snow. George passed on the good news that dinner was ready. Sweet! I want to get a bird feeder! Yay! How cute it is to see all their little tracks. Way to go George! 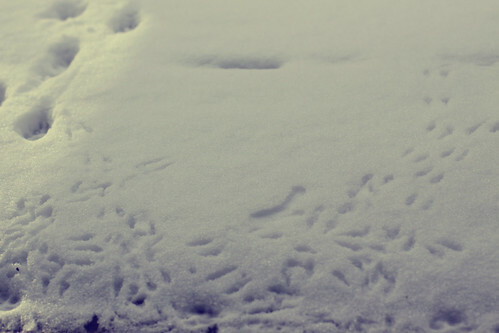 love the cute little tracks and sweet birds!!! What a gorgeous birdie! I love those little tracks! Aww he’s sweet! 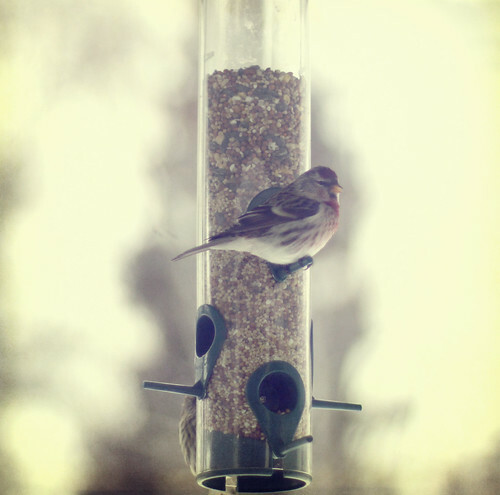 We just had the Redpolls show up in the past couple weeks too. Glad I’m not the only one to name our birds and wildlife!